José Gonzalez discovered his outdoor leadership skills by chance. While a student at UC Davis, he got a job mentoring migrant students in the 4th and 5th grades through a program called California Mini-Corps that sent kids on camping trips in the wilderness. “For many of the students, this was their first time being far away from home, having an outdoor experience,” he says. One night the instructors decided they would sleep under the stars. But not all the kids had sleeping bags. They’d come to camp with blankets—the same woven San Marcos blankets that José had at home. He felt a shock of recognition. “It really resonated on a personal and cultural level,” he says. José had been born in Mexico, where he had always felt connected to nature. He used to chase grasshoppers and lizards on the land his grandparents farmed. He ate fruit picked from his orchard and played in the dry creek bed behind his house. 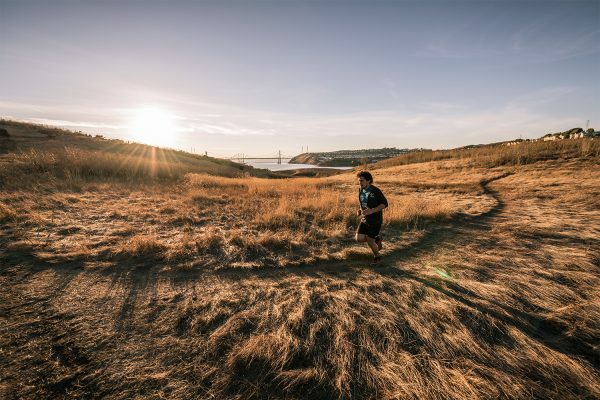 But when he moved to California at age 9, José found himself living in the suburbs, where his backyard was a row of apartment buildings, and the way he experienced the outdoors changed. Through school trips, he visited the sequoias and redwoods, and later he visited national parks and was introduced to hiking, camping and trail running. José understood his students’ experience and the challenges they faced as English-language learners and first-generation Americans. He realized that in teaching them about the outdoors, he could be a role model. He went on to get his teaching certificate and started working with troubled middle-schoolers. He organized hiking trips, and after seeing each kid grow and evolve in nature, he knew he had found his passion. 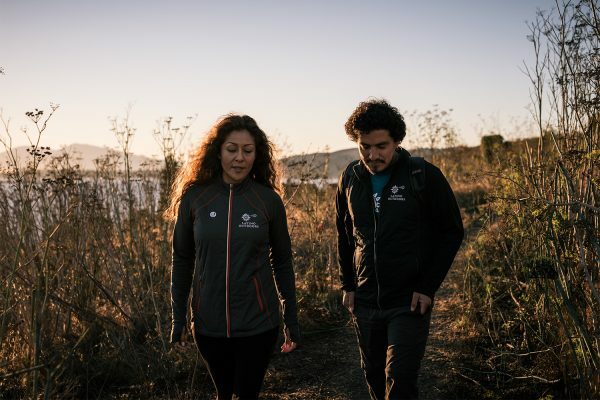 Alicia Cruz (L) and José Gonzalez on the Bay Area Ridge Trail. Alicia helped organize Latino Outdoors’ first community outing. In 2013, José founded Latino Outdoors through a Facebook group. Fortunately, Alicia Cruz was paying attention. She was a scoutmaster with the Boy Scouts, but she wanted to work with her own community. She shared José’s vision: engaging Latinos in the great outdoors would lead to advocating for natural spaces and empowering the next generation. “Nature is here to support our growth, and we need to care for it,” she says. Alicia and José organized the first Latino Outdoors outing, a wellness walk at Point Reyes National Seashore for Latino families. Things took off quickly from there. In two years, Latino Outdoors has expanded from a California-based organization to a national volunteer movement. José and Alicia are mentors to many Latino youth who are empowered by outdoor adventures and leadership training. As the regional coordinator for San Francisco and Marin counties, Alicia continues her focus on wellness outings for all ages. She had witnessed domestic violence in her community and in her own family, so she’s attuned to the need for healing. “You would see women struggling with how to move forward,” she says. “My mom was a very strong woman. She taught me to move on.” Through the wellness walks, Alicia wants to show others the healing she finds in nature. WOW, I wish I could had made it to the trips. Congratulations, you shine anywhere you, in anything you do Alicia Cruz. It starts somewhere… it is up to the rest of us to pay it forward in the best ways we know how. Perhaps Jose and Alicia’s action will inspire you to take the initiative to target the socioeconomic group? I’m sure it isn’t limited to Latinos only. Some times the best way to get Latinos out in nature is to have other Latinos organize and lead these groups. When you’re not familiar or used to doing certain things, some times it feels better to do those things with people you can relate to. Once these folks realize how much they love nature, they will hopefully encourage their family and friends to come out as well. Latinos – as well as people of other ethnicities – some times feel better doing things with people who are like them. 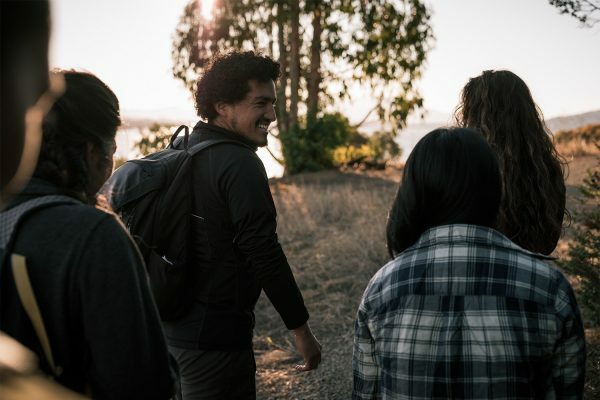 Having groups such as ‘Latino Outdoors’ will continue to encourage Latinos to get out and enjoy nature. I grew up in Los Angeles in the 80s and 90s, and was unable to see the mountains of the Angeles National Forest from home due to the thick LA smog. My single mother did not own a vehicle; my sister and I did not have the privilege to be able to visit a forest or national park as children. I wish there was a group like Latino Outdoors when I was a kid. Very positive, refreshing and encouraging to know that future generations are developing an appreciation of the outdoors, and Latino Outdoors is doing their part to facilitate this appreciation. Our world will benefit greatly due to the efforts of Latino Outdoors. Keep on, keeping on, I applaud you and our passion and your mission. See you on the trails !